British parliament about to vote on airstrikes in Syria. Is Britain About to Join the War in Syria? 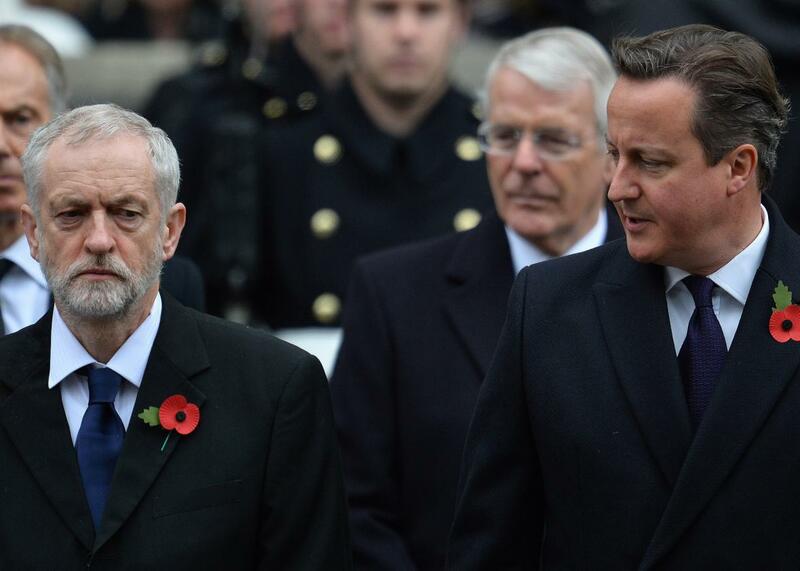 Labour Party leader Jeremy Corbyn and Prime Minister David Cameron attend the Remembrance Sunday ceremony at the Cenotaph on Whitehall, London, on Nov. 8, 2015. Britain is on the verge of joining the increasingly crowded war in Syria with Parliament set to vote on expanded airstrikes against ISIS on Wednesday. While the Royal Air Force has been carrying out airstrikes in Iraq for more than a year, Parliament has been reluctant to authorize strikes in Syria. Calling the vote is a high-stakes gamble for Prime Minister David Cameron, who lost a House of Commons vote in 2013 over authorizing airstrikes against Bashar al-Assad’s regime. And just a few weeks ago, Cameron called off a planned vote on anti-ISIS strikes in Syria, believing he didn’t have the support. But things have changed since the attacks in Paris, and Cameron now seems overwhelmingly likely to win. This is because Labour Party leader Jeremy Corbyn—who strongly opposes airstrikes—gave his MPs a “free vote” on the decision, meaning he won’t instruct them on what position to take. While the ruling Conservative Party is firmly in support of strikes in Syria, the issue has divided Labour. Corbyn has argued that airstrikes will do little to defeat ISIS while causing more chaos and civilian casualties and that Western countries should instead focus on finding a diplomatic solution to the war in Syria. Cameron and his allies argue that Britain can’t “subcontract” its security to other countries.